Carrying Mexican flags and singing the national anthem, the demonstrators marched to a sports complex where about 2,000 of the migrants are being housed. There, held back by a wall of riot police, they denounced the mostly Honduran migrants as “criminals” and “freeloaders” who were openly flouting Mexican law. Sunday’s anti-caravan march reflected simmering tensions in Tijuana, a sprawling border city of about 1.6 million, over the arrival of the latest Central American caravan. While the city has long been a waypoint for migrants of all stripes heading to the U.S., it has not had to deal with the presence of thousands of homeless Central Americans who are waiting indefinitely to apply for asylum at the ports of entry. Some Tijuana officials, concerned about the city’s ability to accommodate thousands of newcomers, have called on the Mexican federal government to stop or divert migrants who are currently en route to the city. Do you think the residents of Tijuana are right to be angry? Wait times to apply for asylum at U.S. ports of entry near Tijuana are expected to skyrocket in part because of tougher border security measures the Trump administration has implemented in recent weeks. Under a new executive order, anyone caught crossing the border illegally is ineligible for asylum protections, meaning asylum seekers have to line up at ports of entry to have their claims heard. 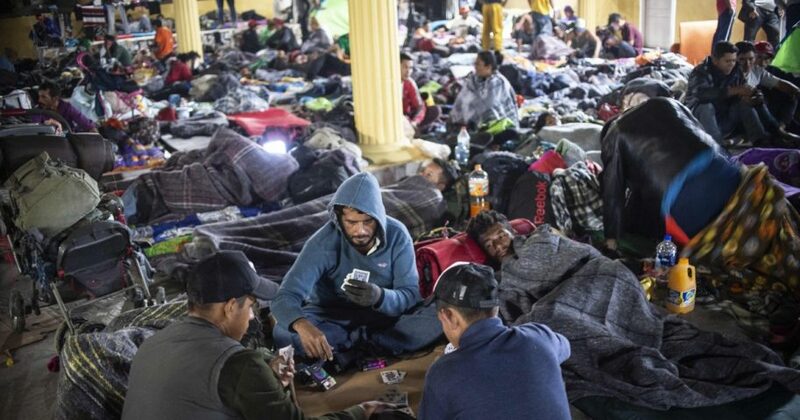 The new policy, which is aimed at channeling asylum seekers to the ports of entry, comes as thousands more Central American migrants have assembled in caravans headed for the southwest border. There are currently as many as 10,000 migrants crossing the country in several caravans, according to the Mexican interior ministry. Most of those migrants are expected to end up in Tijuana in the coming months.